Preparing to build a new home? If you are investing financially in a luxury home, you want to showcase the space to the best of your ability. A thought-through interior decoration strategy complete with quality pieces and complimentary structural elements are crucial to creating stunning house you will love coming home to. In preparation for the New Year, here are a few interior design trends to look out for in 2016. Transfer the outdoors inside with organic elements that add some much needed peace and serenity to your home. Materials like cork, marble, wood, stone and raw concrete are popular choices to reestablish a connection to the environment while highlighting the majesty of nature. Artisan crafted wood furniture, for example, is becoming a popular selection for rustic country appeal as well as more of a contemporary aesthetic. Consider a rugged rock wall in the kitchen or dark mahogany flooring in the living room for a show-stopping natural look and durable appeal. Natural sunlight is one of the most simple, beautiful and cost-effective options to incorporate a bit of nature. Large, dramatic windows can make any room come alive by accentuating furnishing colors and wall décor and inspiring a sense of warmth for its inhabitants. Long gone are the days of utilizing artificial flora and fauna to adorn an interior space. Aromatic and vibrant flowers, luxurious potted plants and self-sustaining succulents are increasingly being selected to add natural appeal to dining rooms, coffee tables and front foyers. The greenery instantly invigorates any room and exudes a calming and enriching atmosphere for a home’s inhabitants. 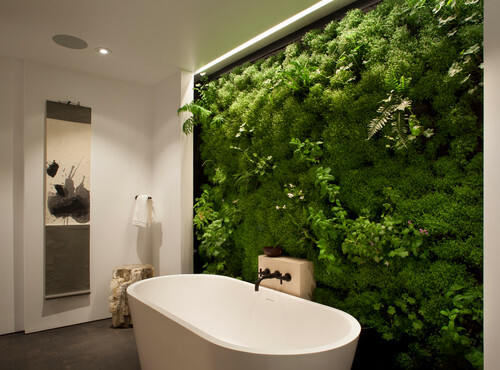 An indoor vertical garden is a particularly imaginative solution to a seemingly stale interior space. This jaw-dropping addition can be filled with a variety of verdant houseplants or herbs. Cultivate gardens and incorporate them into unexpected areas like bathrooms or bedrooms for an especially extraordinary effect. Separating “stuff” from significant décor means thinking conservatively. When it comes to decorative objects, simplicity will be crucial in 2016. Minimalism and clever usage and arrangement of space is imperative. Go abstract and get creative with your spaces, but remember that form should follow function. This trend follows the sustainability initiatives that we have seen gain significant ground over the past few years. Repurposing, reinventing and reusing have become apart of a culture of conscious consumption. Focus on one or two elements within you minimalist space like an abstract painting or an architecturally alluring piece of furniture. Less clutter means more tranquility. Dramatic color is back. The palate for the upcoming year is heavy with shades of pink, red and peach. We have undoubtedly witnessed these same rosy tones grown in popularity throughout this fall, a trend that will continue to develop throughout 2016. Statement color combinations are also projected to be a favorite among homeowners in response to the increasingly reliance on technology. This will encourage environmental stimulation in regards to sight, smell and touch. Use varying hues, intensity and lightness levels to create your own sensory-rich space. Be brave in creating custom looks that transform a room into a space with impact and dimension. Do not underestimate the power of some well-placed metal accents. A Mid-Century Modern style of décor is predicted to make a comeback this New Year with playful mixtures of various metals in numerous metallic finishes with handcrafted textiles. Warm metals like brass, copper and gold and are easily paired with cool silver metals – no need to mix and match. Utilize these metals in accessories like retro lamp stands in your master bedroom or a metal frame on a piece of furniture. Pair these industrial metal pieces with some softer textiles, producing an eye-catching texture contrast. Weaving is in, so check out both your local and international markets for some lush patterned fabrics, especially in geometric designs. If you are looking to build a new home in the coming year, give us a call. The sky is the limit and we would love to talk aspirations for your new luxury home.